The Ark. Friendship, commitment, responsibility. The glory of friendship is not the outstretched hand, nor the kindly smile nor the joy of companionship: it is the spiritual inspiration we have when we discover that someone believes in us and is willing to trust us. (in the beginning) group of people in Kazakhstan and Italy; confident in the ability to build something real, concrete, and with a single aspiration: to give to children who have no one to take care of them, an opportunity for a different life. The Ark project is a project of life. A full sharing of ideals and requirements, method and form. It brings together life experiences of participation and service; the willingness and faith to progressively provide values, skills and knowledge in a spirit of sharing with others. 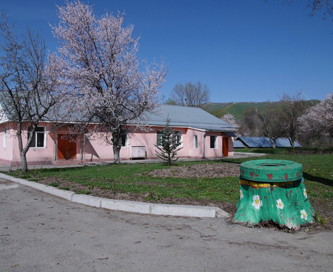 – Uchrezhdenije Kovcheg, the Ark institution based in Almaty, Kazakhstan, which manages and coordinates the branch of the Ark Village, located in the neighboring city of Talgar. – Associazione Arca Italia Onlus, the Ark association based in Milano, Italy, working with fund raising activities. The president is Roberto Depretis.